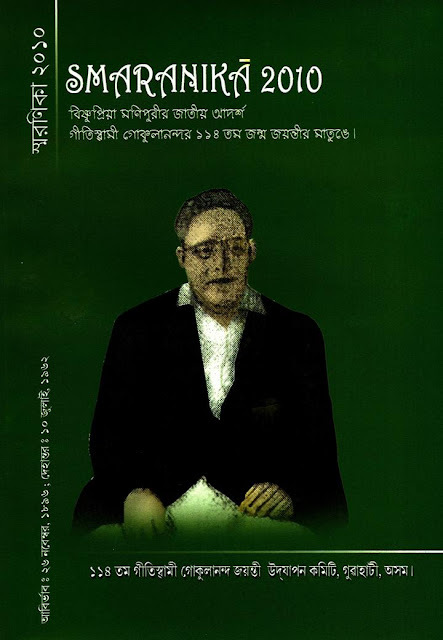 A long awaited audio album titled 'ELAR JHAKA : Part 1', a bouquet of Bishnupriya Manipuri melodies was finally released by L. L. Productions on 8 March, 2014 at Jonakee auditorium, Multipurpose Cultural Complex, Panjabari, Guwahati. L.L.Productions has done a remarkable endeavor by introducing Bishnupriya Manipuri songs and music among the Indian Playback singers of Bollywood. This audio album presents two duet songs one each in the voice of renowned Indian Playback singers Anuradha Paudwal and Sadhana Sargam; and Tushar Arjun was the co-singer in both the duets. Tushar Arjun, an upcoming talented singer has given his melodious voice in two other duets with co-singer Bithi Sinha and Priti Sinha and in one solo song. 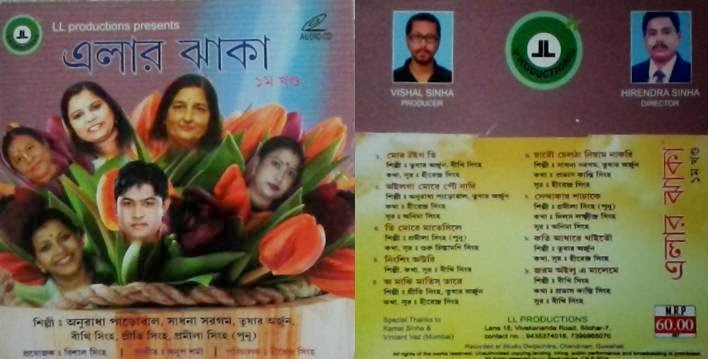 The album also presents two solo songs each in the voice of Promila Sinha(Punu) and Bithi Sinha. The lyrics and tune of the songs are compositions of Hirendra Sinha, director of the album; Guru Chintamoni Sinha; Bithi (singer); Prabhas Kanti Sinha, writer & lyricist and Anima Sinha. Vishal Sinha, son of Prabhas Kanti Sinha is the producer of the album. 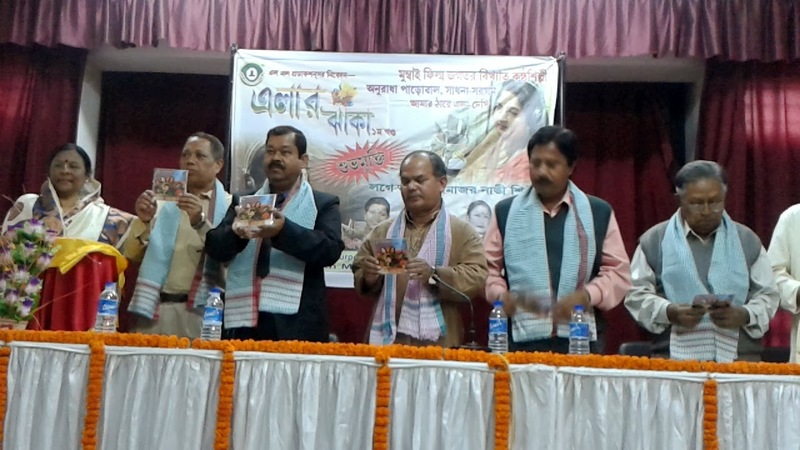 Pratap Sinha, APS, Commandant, 16 Assam Police Battalion, Morigaon released the audio album on the day along with other distinguished guests DILS Lakhsmindra Sinha, President of Bishnupriya Manipuri Writers' Forum and well-known writer, poet & lyricist, Madhusudhan Sinha, IFS, Kamini Mohan Sinha, retired Professor, Col. Bijay Sinha (retd. ), social activist and other social activists. Prabhas Kanti Sinha started the program with his welcome speech introducing L L Productions and its different activities and other audio/video releases, followed by welcome song presented by Promila Sinha(Punu). Hirendra Sinha, director of the album expressed his experience on the different pros & cons involved in the journey of preparation of this audio album and his meetings with the renowned Indian Playback singers Anuradha Paudwal and Sadhana Sargam at Mumbai. His initiatives and dedications were highly appreciated by the follow-up speakers. Kumkum Sinha, retired Director (SCERT) delivered speech on the role of audio & video to preserve Bishnupriya Manipuri culture and music, followed by other speakers present on the occassion. Col. Bijay Sinha highlighted many other important and cruicial issues of the Bishnupriya Manipuri society & culture and expressed his deep concern to take concrete steps to save the endangered culture. Ravi Sinha, singer & actor also spoke on the occassion expressing his experience linked with the preparation of this album. DILS Lakhsmindra Sinha, president of the function concluded the program with his concluding speech with the hope of release of more Bishnupriya Manipuri audio/video albums in future. He expressed his deep concern for the lack of requisite platforms for encouraging new talents and lack of facilities for preserving the culture in audio & video form. Previous audio/video releases of L.L Productions are Premor Taale Taale (audio), Dushavatar (video), Gomnei (audio), Bhajan Amrit (audio) and Paritraan (movie). News source : L. L. Productions.